Looking for the best compact flashlight? When it comes to flashlights, size is certainly something to consider before buying a new one. If the size of the flashlight is wrong for its intended purpose, then it might end up being a waste of money. For instance, you could buy a large flashlight that is extremely bright and can even be used for self-defense, but it will be useless if you need something a little smaller in size. That is where compact flashlights come into the equation. A compact light can fit in a tight spot, or sometimes so tiny, that you might even forget that it is even there. Compact lights can fit inside the glove box of a car, pockets, backpacks, tool boxes, and more. There is no formal definition of what makes a flashlight a ‘compact’ model, but you will likely know one when you see it. The benefit of owning a compact flashlight is obvious – you will be able to take it with you just about anywhere you have to go. If you like the security of having an emergency light source readily available, or if you need one for work, owning a quality compact flashlight is a great idea. The content below contains three compact flashlights that most would consider to be ‘compact’ options. If you are in the market for a good compact flashlight that will hold up under tough conditions and provide you with plenty of light, each of these three are strong contenders. All have plenty of features to go along with a fair price point. 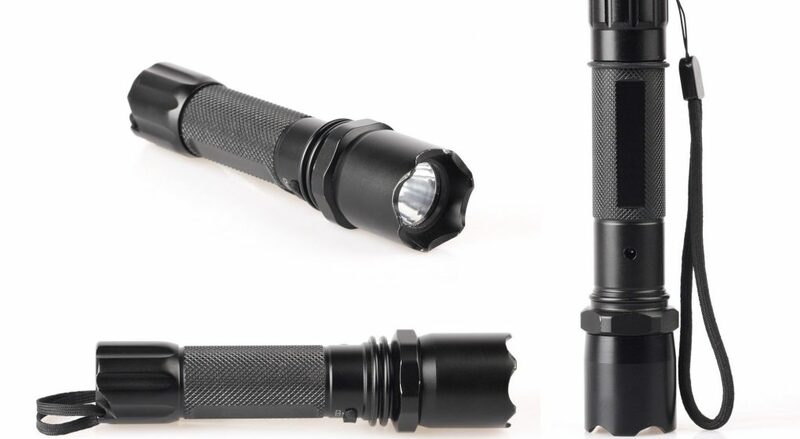 If you’re looking for a stronger, more powerful flashlight, then we recommend you read our tactical flashlight comparison guide. As the name would indicate, this is an adjustable focus model, which is capable of putting out 130 lumens. The compact flashlight runs on 3 AAA batteries, and uses a CREE LED bulb to light up your target effectively. As is the case with any LED compact flashlight, you can expect a long useful life from the bulb that comes with this light. Reviewers of this product are impressed by the quality and value, given the low price point. While the brightness of the light itself is not adjustable, the ability to focus the beam does make this product useful in a variety of situations. At only 4.3’’ long, this compact flashlight certainly qualifies as a compact, and it is one that you will likely love adding to your collection. We’re confident rating it our best compact flashlight for 2016. This compact flashlight takes the term “compact” to a whole new level. The body of the flashlight weighs an ounce and made from aircraft-grade aluminum. It is less than three inches long and runs on a single AAA battery. The fact that this light is able to offer 13 lumens from just one small battery and can run for up to 100,000 hours with the original bulb makes it a useful and versatile product. Those looking for overpowering performance from their compact flashlight will likely need a bigger unit, but the Fenix E01 is great when space is the main consideration. Some reviewers have commented that this is a great little flashlight, while admitting it certainly isn’t the most powerful on the market today. Others have noted the ease of use and the ability to quickly change the battery. If you are looking for a compact flashlight option that won’t bust your budget or your storage space, take a closer look at the Fenix E01. It seems that any list of quality compact flashlight options needs to include at least one model from Streamlight, and that is the case here. When looking for a compact flashlight that can do the job time after time, the 88850 Polytac is a contender. 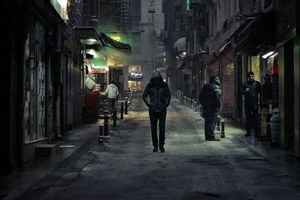 You are likely to be able to find more affordable options on the market, but Streamlight has a reputation for delivering quality products to satisfied customers. This compact light has everything that you would expect from a Streamlight, such as a quality glass lens, a 50,000 hour lifetime, and powerful light output (130 lumens from a light just slightly longer than five inches). What do people like about this unit? Well, the power of the light, the price, and the quality of the build are all pointed toward as positives for this product. 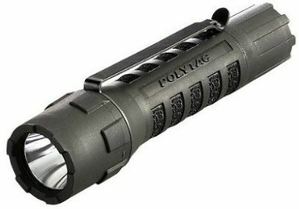 To go with a trusted brand name for your next compact flashlight, the Streamlight 88850 Polytac seems like a safe bet. One thing you are not going to have to worry about when shopping for compact flashlights is a lack of options. There are a ton of small flashlights available these days, and you could spend hours upon hours sorting through all of the options. Hopefully, the list we have compiled above will save you some of that time. Take a close look at each of these three and the combination of price and features that they have to offer. No matter your budget, you should be able to wind up with a great compact flashlight that will hold up for years to come.